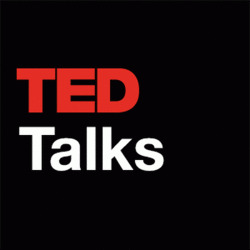 TED talks are a set of conferences designed for creative and thought leaders to speak and spread their ideas. Originally founded in 1984 as a one off event for the Technology, Entertainment and Design sectors. Now talks have expanded to almost every topic imaginable, ranging from the art of asking to the puzzle of motivation. TED talks have over 3 million YouTube followers and 4 million Twitter followers from across the world, and TEDx events are now popping up in cities in over 130,000 countries. These following TED Talks capture and inspire a large audience, effortlessly, through the use of story-telling. Something that all modern content marketers dream of. Film maker Morgan Spurlock (known for his groundbreaking documentary, Supersize Me) takes us on the journey through the wonderful world of brand marketing to make a completely sponsored film about sponsorship. He may not have managed to land a sponsor for his film, but did he land a sponsor for this very TED Talk? Godin believes that through the use of the internet, we no longer have to see marketing to people as a challenge. Instead we should focus on sharing our ideas on values, and creating our very own tribes. In this inspirational video, Seth explains how tribes give ordinary people the power to make change. Do you ever feel like you're stuck in a rut? Well Google's Matt Cutts was feeling the same, until he started his 30 day challenge. This short and lighthearted talk offers a new and exciting way of setting yourself goals and actually achieving them. Jason doesn't believe in the traditional approach to 'work'. He believes that when at the office, your day can become made up of 'work moments' than conclude in you being completely unproductive. In this video, he suggests three new ways that your business can make work, work. With the food industry's pursuit of finding the perfect spaghetti as his muse; author, Malcolm Gladwell looks at the nature behind making choices and happiness. Have you ever come across a TED Talk that has really made you think? Leave us your suggestions in the comment box below.